Brian Earhart (PDGA #45879) is a pro disc golfer that made the jump to open back in 2011, and really made the commitment to playing quite a few tournaments in 2013. Last year, Brian played in 12 sanctioned events and in those events he made an impressive 8 finishes in the top 10 including two first place wins. He cashed 47th at 2013 Worlds and took 2nd behind David Wiggins in the distance competition. All this while holding down a full time summer job and studying at Illinois State University. Let's say you're approached by a beginner player with the following question: "What should I focus on to improve?" They can drive 250' and putt accurately from 15'. Plays a few times of week and has limited time for fieldwork. Where do you start them... what is the most bang for the buck in terms of using limited practice time? A few times a week is plenty to improve gradually. My best advice for someone of that caliber is to first learn what an ideal throw is by watching videos of the top players in action. There are plenty of slow motion videos on the Internet of very talented players that can help someone see what a truly athletic and efficient throwing motion is. And don’t just watch; study their throws, their decisions, their lines. Be a student of the game. Throwing 450 feet with accuracy and banging 30 footers in your sleep doesn’t come overnight. It takes time and dedication. Studying the game and having a true internal desire to constantly improve comes first, but next comes finding players to play with who push you to get better. Join your local disc golf club, play in local leagues, use your networking skills and meet people who also want to improve. Ask a respected local pro to play a round and watch how they approach the game. You’ll be surprised how quickly your game comes around if you just care about improving and surround yourself with people who have the same goals. Similar question only this is an intermediate player who can drive 350-375' and putt accurately from 25'. Plays 5 rounds a week, generic field work, daily putting, no glaring holes in his game, but he's still 5-10 strokes off placing top 10 in amateur tournaments. What's the biggest difference maker between the guys who are moving up to Open and guys who can't break into the top card in AM's? What kind of routine would you suggest for them? It’s hard to diagnose an exact problem with these made up players, but I will say that driving 350-375 and putting accurately from 25 is more than enough to WIN top amateur events. So where is the problem for this player who can’t break the top 10? He or she is most likely not thinking like a golfer. A few attributes of truly great golfers are patience, staying focused in the present moment, and the ability to differentiate between using the thinking mind and the intuitive mind (thinking mind refers to things such as analyzing wind and deciding on a disc, where intuitive mind refers to simply executing the chosen shot, free of any thought.) I’ve seen many physically talented players who can’t score well in tournaments simply due to poor decision making and a lack of rational thought and mental preparation. This is definitely what I would say is an issue for most talented AM players who can’t seem to pull off wins. In your reddit AMA you mentioned that early in your teens, you did fieldwork almost everyday for hours on end. Do you still do regular fieldwork? If so, is it a formal routine or more just working on things you want to work on that day? Are there any specific drills that you do (closed shoulder drills, hammer drills)? Do you do anything outside fieldwork for your game? God I wish I had that much time to throw nowadays! I work 40 hours a week in the summer as a camp director and I’m about to begin my last semester as a student at Illinois State University as a full-time intern at a museum. In the summer I’m able to practice everyday since I have a car at home. I do fieldwork at least twice a week and play practice rounds almost everyday on top of that. Usually I’m just trying to stay smooth and get reps in for the shots I need to have to perform well. Occasionally I’ll throw in a session of strictly distance fieldwork to gauge how far I’m throwing or a session of a shot I’m not as confident with to increase my shot arsenal. Outside of fieldwork, I frequently play head to head rounds against one of my good buddies, Steven Jacobs (2013 Amateur World Champion). The kid is an incredibly talented golfer and playing head to head with him helps me to keep wanting to improve. Have you put much thought into the mental aspect of the game? Throwing and staying smooth and loose when the pressure starts mounting - whether it's a casual round, a tags match or a PDGA event is something that I think most players struggle with. Do you have an inner dialog during a round or do you try to keep those voices quiet? Once you hit a certain point physically as a golfer, the rest is almost all mental. It’s only recently been something I’ve discovered and it’s something that I feel is going to propel me to the next level in the coming years. I’ve recently finished reading the book Zen Golf: Mastering the Mental Game by Joseph Parent, and it blew me away. I had some huge breakthroughs this past season; I shot some of the best rounds of my life, won some events and beat some good players, but I also shot some absolutely atrocious rounds and was left wondering if I had actually regressed as a player. I was dead wrong. That book it hit the nail on the head with everything that had happened to me this season and left me with an abundance of hope and confidence for the next. As for the inner dialog, I just try to keep my mind in the present and let any negative thoughts come and go as they please with no acknowledgement. Negative thoughts are inevitable, but it’s my choice to whether or not I let them distract me from what I really want to accomplish. The Rico brothers asked Ken Climo what he thought the biggest aspect of his mental game was and he said that over the long haul in his career it was to have patience. 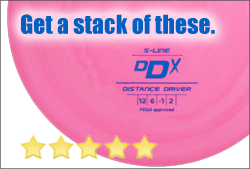 Do you think you've had patience with your disc golf game? What does it mean to you to have patience with your career? Patience is one of the hardest things to learn in golf. It applies to so many different aspects of the game. I could talk about this for forever but I’ll try to keep this one short. I used to get way too ahead of myself when I’d play well. I’d shoot one good round and all of the sudden start daydreaming about Innova knocking on my front door with a contract. I’ve slowly had to learn how to be patient with myself as a player and let my scores speak for themselves. If I’m not scoring well, I’m not working hard enough. That type of mindset in itself takes a lot of patience to fully commit to. To be a top-level pro, you need to put your heart and soul into the sport and let your improvement happen naturally as a result of it. Were there any players that had a profound impact on you? Any moments where you saw some impressive behavior or sportsmanship that really hit home? There are definitely a bunch people who I consider inspirations. The first is my good friend Steven Jacobs. He works harder than any player I know and the fact that he’s risen to the level he’s at now without letting his ego get the best of him is very inspiring to me. I am grateful to be able to practice with him and play against him every season. He’s one of the few people who truly push me to get better. Next is my beautiful girlfriend (and 2013 Women’s Amateur World Champion) Colleen Thompson. She and I have very similar goals in the sport and we hope to one day save up enough money to hit the road together and play the sport we love all over the US professionally. She’s always in the back of my mind when I’m out practicing. She makes me want to be a better human being in general and it’s definitely shown in my golf game. As for a top level professional who has had an impact on me, I would say that Michael Johansen from North Carolina has been my favorite player to watch. I got to follow him and carry the scoreboard for the lead card at the 2012 World Championships in Charlotte and despite the serious circumstances it was very obvious that he has an undeniable passion for disc golf. He had a genuine smile on his face constantly and displayed top-notch sportsmanship among his fellow competitors. He made me remember that even when there’s money on the line, disc golf is a beautiful game and there’s always something to smile about, even when things aren’t going well. It seems like the top couple pros at the moment, Ricky and Paul are both throwing forehands quite a bit more than the last crew of top tiered guys. It seems like such a powerful shot to have available, why do you think it's so rare to see it getting thrown? I actually think that it’s being thrown MORE than ever before. With all these stable and glidey high-speed drivers on the market, top-level pros are having an easier time throwing forehands when they need to. The thing is, why throw a forehand when they have a more reliable backhand shot that produces almost the same result with less effort? I definitely think that a lot of top players don’t have as solid of forehands as they should, but they’re still at the top at this point. Almost all of them have some sort of consistent forehand shot, but their backhands are so solid that there are only a few holes where they’d need to throw a forehand. Also, forehands are a very violent motion. A backhand is much easier on the shoulder and elbow than a forehand is so it’s also a preventative measure to throw mainly backhands. Is there anything specific that you use to decide between throwing a back hand and flick if there's no obvious line to take? Is it just the comfort you’re feeling with a shot that day or do you try to stick with a type of throw in certain scenarios? Being an ultimate player, I’m pretty confident in both a forehand and a backhand. If there’s no obvious line I’ll just go with what’s comfortable for me at the time. I’ll usually flick if I’m in the woods and I’ll usually throw a backhand hyzer if I’m in the open. It depends on what the wind is doing and whether or not I want to play a skip or not. Do you feel like there's a path for a young pro to make a career in disc golf? Supporting yourself via sponsorships and tournament winnings seems to be an option for just a very few. How are you able to travel, practice and compete? Is it realistic? No way. Is it possible? Yes, from what I’ve heard. You have to be the best of the best to be making decent money in disc golf, and even then you won’t make much. I haven’t been able to tour yet, but my plan is to finish school, work for a year and save up money to have as back up for when I hit the road. At this point I’m not trying to make disc golf my number one career, but I would love more than anything to be able to continue to improve and play well enough to support myself on the road for at least a couple seasons before I want to settle down, get married, start a family and so on and so forth. A big tournament at a course you've never played before is on your calendar. Assuming you can get to the course before hand and have some time to familiarize yourself with it, walk us through what you'd do to get ready for it. Do you walk the course first and take mental notes on holes, routes to throw, hazards? Do you play it every day, multiple times per day leading up to the tournament or do you want to have a break before hand? Ideally, if I had that type of time to get to a course ahead of time to practice, I’d take my time on each hole trying to find the ideal highest percentage shot, and drilling the shot into my memory once I find that shot. I make mental notes of where OB is and what angle the greens are sloping. If I want to play a hyzer skip to the bucket but the green is slanting in the direction of my skip, I may opt for a softer landing flick turnover that gives me a lower percentage of getting into trouble and a higher chance at a putt. I try to have a game plan for every hole ahead of time and use my intuition during the tournament if the conditions change. Let's talk a little inside baseball... clearly there's some top tier pros who get emotional and have some vocal blowups. It seems to be that the opinion of the guys on the top cards is that "oh well, that's just that guy" and I've not really seen anybody calling unsportsmanlike behavior or giving warnings or penalties. Is there some talk among the people you play with about when somebodies behavior gets sideways? Here’s what I think. It’s the fact that many open players are okay with other players blowing up since it usually is a vicious cycle that takes them out of contention. I personally will only give out warnings if it truly affects my play (i.e. someone kicking their bag as I’m lining up a putt). Otherwise, I have no issue letting a player continue to sabotage their chances of beating me if they’re not too out of control. The moment I hear a player complain about the weather or course design or bad baskets I immediately check them off my mental list of potential contenders for first. There are definitely players who are sticklers for the rules and will consciously watch other players for even the slightest violations. This is completely fine with me; I’d hope someone would call me out if I were not following the rules correctly. But, I've also noticed that players who do this are not as focused on playing their own game and aren't usually at the top of big events, one of the reasons you probably don’t see many top players calling a lot of warnings. There's always talk of growing the sport, growing tournaments, making disc golf a more popular sport. Dave Feldberg has talked about how the payouts are smaller today than they were 20 years ago, not even taking into account inflation. What do you think the hurdles are in terms of taking disc golf to the next level? What's holding disc golf back from doubling payouts - and have some well funded events and having disc golf seen as a serious sport? This is something that’s been talked about ever since I started playing. 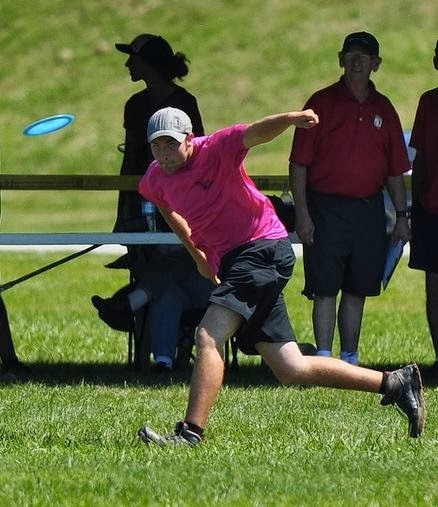 I have interned at the PDGA’s headquarters and I will say that from my experiences, they are an extremely hard working staff that put their heart and soul into governing the sport at all levels every single day. They are not holding back anything from anyone. From what I've observed it seems that a number of people think the PDGA is full of extra money that isn't being used correctly. Here's the issue, what percentage of the PDGA’s members are touring, scratch golfers? It’s a very small percentage; so why put a majority of the budget towards the National Tour when an extremely large majority of PDGA members are amateurs who will never compete on that level? Unless there is enough talent and money to fund a separate pro-only organization that allows the current PDGA to worry about amateurs and grass-roots growth and another to govern the Pro Tour, I’m guessing things will stay relatively stable for a while. Laying up versus running it. Let's say you're walking up to your disc. It's outside your putting range - so you're looking at floating a chain high backhand or aiming 10' in front of the basket and skidding it up for a drop in. What is that inner conversation like? Are you going to run it with the confidence that you can hit the come-back whenever possible? Are you conscious of the score or are you blocking that out when making those calls? I used to be extremely aggressive when it came to these putts but I’m slowly learning to use logical thought beforehand to assess the current situation and environment before letting my intuition take over. If I’m facing a 70-footer with a flat green and no chance of a roll away, I’m trying to make it 100% of the time. If I’m not certain I can make the putt and the risk/reward is not in my favor, I’m going to lay it up just to save myself stress in case something unexpected happens. There’s no use risking a 3-putt and shakiness on the next tee when a two putt and a self high-five for not being an idiot is 100%. In your reddit AMA, you mentioned that a Wraith made a huge difference in your distance. 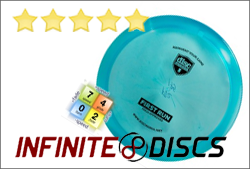 Disc selection is hugely important and tough because everybody throws with various amounts of hand speed and snap - but is there any specific discs that have really blown you away in the last couple years? My bag is pretty simple. I like to try new stuff every now and then for fun but usually there are a few old staples in my bag that never leave. Drones, buzzes, destroyers, and tsunamis (old-mold predators) have been in my bag for years with random trick shot discs making their way in and out every now and then. As for new stuff I've tried and liked, I had an Innova Shark3 that I was throwing around before I left it behind at a course, and WOW that thing had the perfect stability for a stable to overstable midrange. I’ve thrown others that were flipping up on me, but the one I had flew just like a nicely beat drone, which is my favorite disc on earth. As for new drivers, the Prodigy drivers go very far and the plastic feels great. They aren't enough to make me toss out my destroyers, but they definitely go boom-boom, much like almost every new distance driver on the market. Finally, 2014. Are you planning to play more tournaments than last year or going to try to hit the road and do part of the tour? Any personal goals that you want to share? I've definitely worked harder this off-season than ever before to prepare for 2014. I’ve probably played the least amount of rounds this winter ever but I’ve put in at least 10x more hours putting than I ever have and it's paying off already. I’m hoping to come out strong and bang a lot more putts than I did last season, which should put me on some more lead cards. I’m planning to play more than I ever have, but when it comes to goals, I have less than I’ve had in any other season. I basically have two goals. One is to never know what my player rating is, and the other is to line up my beliefs and my actions when it comes to being a professional in the sport. If I know in my mind that working hard means winning and winning is what I truly want, I need to work hard with no excuses. If I know that I want to see more pros conduct themselves with the utmost professionalism in terms of dress and etiquette, I need to practice that as well, with no compromises. If I can do that, it doesn’t matter what my rating is, I will play how I train to play and I will rest easy knowing that I earn every score that I end up with. WHEW! Alright, Jason here again and was that great or what?! Want to just say a huge thank you to Brian for patiently and thoughtfully answering all my questions. I'm hopeful that we can have Brian back soon as a guest writer or for another interview. I'm sure 2014 will be a big year for him and to all you disc "industry types" - I hope you know you owe me a finders fee when he's your next poster boy! Stay warm and as always, happy discing! Some superb advice, and a lot of relate-able questions and points. Thanks for the interview! My pleasure Jordan - thanks for the kind words. I hope Brian will have some time to keep writing for the site. And congrats on winning the rattling chains package!! Want To Increase Your ClickBank Commissions And Traffic? Bannerizer makes it easy for you to promote ClickBank products with banners, simply visit Bannerizer, and grab the banner codes for your picked ClickBank products or use the Universal ClickBank Banner Rotator Tool to promote all of the ClickBank products.